We always thought we would have kids. We started trying when we believed we were ready. A month went by, then two months, six months, a year. Nothing happened. Something was wrong, but nobody could tell us what - and they still can't to this day. We tried IVF three times but our results were not good. We were devastated. Eighteen months after our last IVF cycle, we knew we would not be having our own children. And, somehow, we have moved to a life that is much different to the one we thought we'd have. This blog is about what we do now we know we won't be having children - the thoughts, dreams, realities, sorrows, and joys that have become our new life path. I hope you will enjoy what I will be sharing, and I hope that if you are at the point where life without children is a reality for you, that you might find some hope and inspiration here. This post has been inspired by a comment made regarding my blog entry dated the 26th November last year, named “Empty arms and sweet cats”. This reader has been through four rounds of IVF and has had two miscarriages, and is now coming to terms with the reality that she might never be a mother. She wrote that she tries to be grateful for all the wonderful things in her life, but that the pain doesn’t seem to go away. I can relate to what she is going through. When we first realised that we weren’t going to be having kids, and we made the decision to enjoy the life we did have, I thought that it was going to be it with the whole babies’ thing. I had a lot to be thankful for – my home, my family, my husband, my pets, my friends. I just had to move on and live the life I did have. I thought it was going to be quite simple. A few tears, telling people we were stopping IVF, words of condolence from family and friends, and all the dark emotions would go away. I was so very wrong. With every loss in life there has to be a stage of mourning. The realisation that we were never going to have our own child was a huge loss, and the mourning that came with it was very painful and at times seemed never ending. I was angry, I was sad, I tried to negotiate with the universe that if I did this or that then perhaps then we could have a child, I was numb. I was in pain. There is a common belief that grieving takes a set path through the stages of denial, anger, bargaining, depression, and acceptance. I believed this too, and when I got to the stage of acceptance (the first time…) Kirby and I had a ceremony to say goodbye to our children and to place a point in time from which we could move on. I was looking forward to putting all that pain aside. But we didn’t move on. Not long after the ceremony I was outside with my anger, pain, and sadness. Grief wasn’t done with me. I was shocked and felt like a failure. So, five years later have I finished grieving? Has the anger and sadness and pain gone away? No, I haven’t, and, no, it hasn’t. It is true that the pain is less intense, most of the time, and that I am not overwhelmed by emotions as often as I used to be, but feelings of grief still visit from time to time. In our modern day society there seems to be messages everywhere telling us to be happy and positive and then life will be wonderful all the time. And if we find ourselves not feeling happy and positive, if we can’t find a way to make ourselves happy and positive straight away, then we are failing. This is simply not true and it is setting us up – setting everyone up – for failure in more ways than one. We think we fail because we are not happy, we don’t give ourselves the opportunity to meet with those darker emotions, and we then don’t have the opportunity to grow and deepen as human beings by reflecting on those emotions. We want them gone, and with them goes something so very important. I’m going to leave it here today, and my next entry will be more about the times those darker emotions do come calling, how I deal with them by honouring them, and how these darker emotions are something I no longer fear as much as I used to. In June last year I finally got up the courage to go into a travel agent and book flights for a trip to Thailand in 2014. At the time it seemed like the trip was so far away, but here I am counting down the days until I catch that plane. I’m nervous, but so excited. It will be my first international trip by myself. In my twenties I longed to do some travelling on my own, but I was quite ill with a number of conditions throughout that decade of my life and was never able to follow that particular dream. I had kind of put it out of my mind until the last few years. I will be forty in June this year and I started to think of the things I wish I’d done in my youth and I started to question whether it was really too late for me to do at least some of them now. It isn’t. This trip is like a present from my twenty-something year old self, who couldn’t follow a dream, to my almost forty-year old self, who can. I’m going to northern Thailand to stay at an elephant sanctuary “Boon Lott’s Elephant Sanctuary” for six nights. I will get to spend time helping out with the elephants, washing them, getting their food ready, and giving them all the love and attention I can. I will also be helping with the other rescued animals at the sanctuary – dogs, cats, birds, and even a Brahman cow. I can’t wait to get to spend time with all these animals and with the family who run the sanctuary – including three little kids…yay! After the sanctuary, I will be staying at Sukhothai for three nights and visiting an ancient city (built around the mid-13th century) and then I will be going to Chiang Mai for five nights – which will include a tour to a national park, a visit to an orphanage to play with the children there, and a visit to one of the Karen hill tribes. Overall I will be away for fifteen days. Kirby is staying at home to look after the fur-kids, so I am going all on my own. It is interesting for me to reflect on the likelihood that I would not be doing this trip if we had children, because I would have wanted to spend my holidays with my family. Sometimes when I think about this I like the idea that I am free to do this trip, and then I feel guilty. Should I feel guilty? I would have loved our children, but we don’t have them, and instead I am doing things that I want to do, creating a different life. Should I feel guilty for enjoying this life and feeling blessed by the opportunities I have? I don’t think, but that niggling little guilt fairy likes to try and convince me I should, and sometimes I believe them too. But, as the trip to Thailand gets closer, the level of excitement is certainly drowning out any guilt I might feel. I can’t wait!! So, guilt fairy, take a hike! Regular readers will know how much I love my pets – including our fish in our pond out the back. In October last year I was excited to see that some of my fish were ready to lay eggs and that we would have baby fish. In my 9th of January entry this year I wrote that I had finally realised we weren’t going to be having any baby fish this year. I had only seen a few a couple of months ago and hadn’t seen them since. Well, it seemed that they were waiting for me to give up before showing themselves! Yesterday I was feeding the fish and two little babies darted in and out of the pond plants. They are too small to see what their colours will be, but they are big enough that they can survive. Late last year I was working through some issues that were particularly painful for me. There were more than a few nights lost to tears and sleeplessness. I am very lucky that I have Kirby to talk to and share my thoughts and feelings with, but what I wanted most at that time was a friend to talk to. I wanted to go and have a cuppa with a girlfriend I had known for years and cry my heart out. But I didn’t. I couldn’t think of who to call, or rather I could think of friends to call but I never picked up the phone. I never let them know what was happening and that I needed them. When we were younger it was easy to catch up with friends on the spur of the moment. A morning phone call, “Coffee?”, and we were ready to go that afternoon. This was especially the case with my friends who were also my colleagues early last decade. Around lunchtime, a head would pop through my office doorway and no words needed to be said – we headed out of the office for lunch or coffee or just a quick walk. Now it’s different. 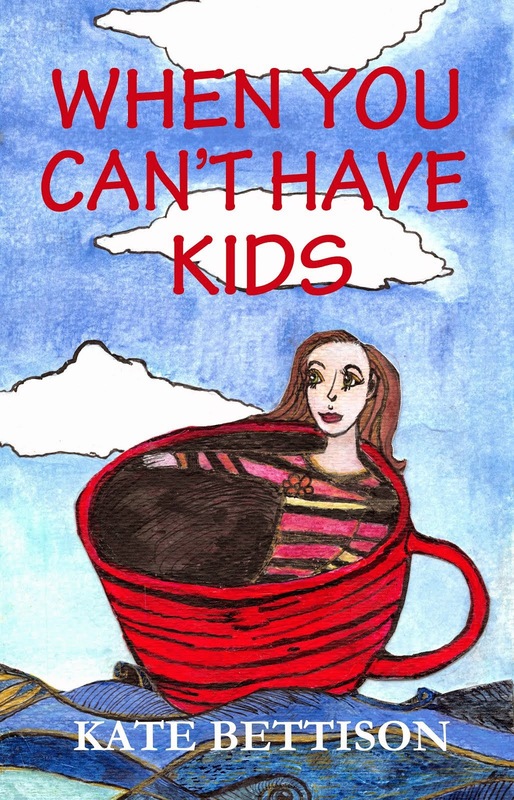 Most of my friends, especially those I made in early adulthood, have children of their own. They are busy – and I mean really busy. They don’t have as much time as I do and their priorities are, as they should be, their families. Many of their activities and social outings are with other parents with children of similar ages. This is very important, of course, because parents need the opportunity to talk with each other and share the experiences, knowledge, joy, and frustration of parenting. Their main source of support in this time of life, in raising children, is friends who also have children. But, sometimes I struggle with that, in that I feel I am not part of the group because I don’t have children. I really hope that my friends with children don’t get upset at this, as I love them all dearly, but there are times when it is very, very hard for me. And I do feel excluded sometimes even though I know that is not the intent – and in thinking about it that exclusion exists solely in my own mind – it isn’t real. But, I’ll give you a couple of examples so you know what I mean. A few years ago we were trying to catch up with two families at the same time, both of who have kids, but it was difficult to come up with a date that we were all free. The months passed by, and we found out that the families we wanted to see had caught up together without us at the beach. We had no idea and at the time I wondered if we had done something wrong. Another example is that it is very rare for us to be invited to our friends’ children’s birthday parties. I sometimes think that if we had kids we would be invited. I do understand that there has to be limits to numbers at parties, and that many of our friends are torn about inviting us as they don’t want us to be reminded of what we don’t have – which, in thinking about it, really is thoughtful. I guess, from all of this, I feel different to my friends who have children. They have a different type of life to me, and lives that are often far busier than mine. And that is where my problem lies – I say “my” problem because the problem rests entirely with me, and not my friends. I didn’t call any of my friends last year when I was struggling because every time I thought I would call one or the other I thought they would be too busy, I didn’t want to burden them with my problems, I didn’t want them to think that I only wanted to see them when I was in difficulty, and I was afraid. It sounds ridiculous now that I have written it down. I can see very clearly how all of this is my issue and not theirs. I know that if I had called any of my beautiful friends they would have, if they possibly could have, been there for me. I sometimes feel that because I don’t have children I should have everything sorted out – that I should be the one who provides the support to my friends, rather than the other way around. In a way this is an insult to my friends, who love me and don’t need me to put across the facade that my life is all good. I realise that I need to trust them more. That I need to remember that they are my friends – that they care, and that they are willing for me to call up and say “help” sometimes. I need to learn how to ask for help. That is what friendships are for. After I wrote the last blog entry on names I realised that I had forgotten to include another name we had thought of for our son – Caleb Maxwell. Caleb is a name we both love. The name is Hebrew in origin, and there are a few different meanings attributed to the name Caleb, including dog, but we like it because of the meanings “whole-hearted” and “devotion”. We would have been wholeheartedly devoted to our little boy. The name Maxwell would have gone with it as this is the name of Kirby’s Dad, my Father-in-Law. Maxwell is a combination of Maccus meaning “great” and the Old English “wielh” meaning “spring” or “pool”. It really is quite a lovely name. On the 28th of October last year I wrote about how one of our fish was getting ready to lay eggs, and how excited I was at the prospect of having new baby fish. Well, sadly, while I saw one or two tiny babies (fry), I haven’t seen any in about two months. Unfortunately few baby fish survive to be adults and it seems that this year wasn’t a good year for the babies. There are many reasons for this, including slight changes in temperature, the baby fish not being strong enough, and unconducive levels of pH, nitrate, nitrite, and ammonia. I am sad about it, but I also realise that this is nature. Next week’s blog is going to be on an issue that I think about, and get confused about, a lot – that of friendships. It’s been a while since my last blog entry – I blame Christmas, New Years, and a husband home from work to annoy me. Well, okay, not the last bit – it’s been lovely having Kirby home for the past few weeks and I’m not looking forward to when he goes back to work next week. There are lots of things I want to write about, but many of them are more serious, and I want to start of the year with something a bit lighter (if that’s the right word). I want to share with you the names we picked out for our children before we even started IVF. Jacob is a very old Hebrew name and we liked the sound of it – it was strong, but simple. I’ve since found out that Jacob means supplanter – which basically means “undermines” or “supersede by force or treachery” – so the meaning isn’t all that flash. I still like the name, though – and what’s in a name anyway! Arthur is my Dad’s first name, although he is called by his second name, David. He was named after his Uncle Arthur who died at the age of 22 in Bougainville in World War Two. That is my Great-Uncle Arthur in the photo with my Grandfather, Vivian Sydney. I like the idea of honouring our ancestors by using their names for future generations. Arthur is Welsh and means “bear”. Samuel is a name Kirby and I both liked very much. It is another old Hebrew name and means “God has heard”. It was the sound of the name rather than the meaning that appealed to us. Similar to Jacob, it is strong and simple. The use of the name Kirby is kind of self-explanatory. Samuel would have had his Dad’s name as his second name. Kirby’s name was a family name on his Mother’s side – it was his Grandmother’s maiden name. It means, depending on the source, “the village with the church”, or “land beside the church”, and is potentially Scandinavian or Old German. If you read my blog entry from the 10th of July last year you will know about the dream I had where my Grandma was standing at one end of a long hallway and I was standing at the other. A little girl (about two years of age) was toddling toward me and my Grandma said “This is Ruby – you will look after her now”. From that moment, if I had a daughter, she was going to be named Ruby. Ruby is English and means red gemstone. I still love the name. Grace is Kirby’s Grandmother’s name. I’ve always liked this name as well, and it goes with Ruby so well. Grace is Latin, although some say it is English. It has numerous meanings assigned to it, including “God’s favour”, “good will”, “favour”. Kirby and I both love the actresses Audrey Hepburn and Audrey Tautou, and picking Audrey as a name for our potential daughter was based purely on these two women. I like the meaning of Audrey as well, which is “strength”, as I always hoped our daughter would be strong. Margaret is the middle name of both my Mum and my Nan. It is said to be of Greek origin and means “pearl”. I think that this meaning suits both my Nan and my Mum very well as they are both rare and precious. Nan has passed away, but she is still rare and precious in my mind. Esme has a bit of a stigma here in Australia as it was the name of a character in a long running soap opera in the 1980s called “A Country Practice”. Esme Jacobs, the character, was a bit of a gossip and put her nose into everyone else’s business. A few years ago I saw a character on television, although I can’t remember the show, who was funky, strong, and feminine, and her name was Esme. I figured the name Esme deserved a chance at redemption, and it really is a nice name in my opinion. It is a French name and means something along the lines of “loved” or “esteemed”. And, finally, Kate – well, that’s my name. Although not really. Kate is short for Kathleen, which is an English form of the Irish Caitlin (which is Gaelic). I always thought I would use Kate for the second name here, but now I think I would have used Kathleen, or even Caitlin in honour of my Irish roots. Oh, and Caitlin means “pure”. Near a tarantula nest in Thailand!